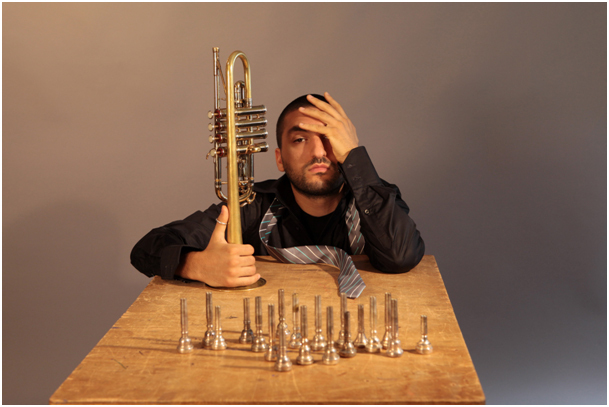 Ibrahim Maalouf, born on 5 December 1980, is a trumpeter, composer, arranger, and trumpet instructor. He was born in Beirut in a family of intellectuals and artists and he now resides in France. 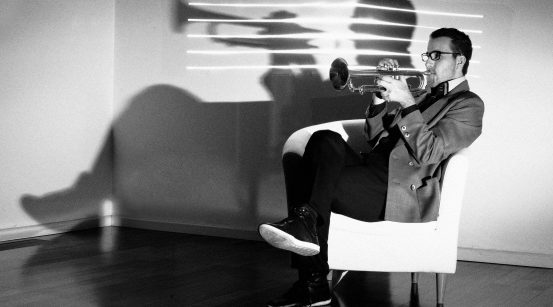 Ibrahim is the son of trumpeter Nasime Maalouf and pianist Nada Maalouf, nephew of the writer Amine Maalouf and grandson of journalist, poet and musicologist Rushdi Maalouf. He is currently the only trumpet player in the world to play Arabic music with the trumpet in quarter tones, which his father invented in the 1960s. Between 2000 and 2007, Ibrahim performed with many internationally famous singers and musicians, such as Amadou & Mariam, Matthieu Chedid, Lhasa de Sela, Angel Parra, Jeanne Cherhal, Arthur H, Marcel Khalifé and toured in America and Europe performing in the most prestigious venues. Ibrahim released his 1st album, Diasporas, in October 2007 produced by his own label: Mis’ter Productions. His 2nd album, DIACHRONISM, was launched in October 2009. It’s a double album consisting of: DISORIENTAL & PARADOXIDENTAL produced by his label too. He released his 3rd album “Diagnostic” in September 2011. Ibrahim was also featured in many artists’ albums such as Sting, Vanessa Paradis, Vincent Delerm and others. He won many prizes in the major classical trumpet competitions in the world. In July 2010, he was awarded the Instrumental Revelation of the Year Victory Prize at the “Victoires du Jazz” competition. Diagnostic » released in October 2011, had sold more than 25000 copies by the end of June 2012, which makes Ibrahim Maalouf the French Jazz artist with the highest sales in France over the last two years. In 2006, Ibrahim created his own label to produce his albums but also more recently to produce other projects and artists. You can find all the different activities of this label under the section : Mi’ster Productions. After Diasporas » (2007), Diachronism (2009) and Diagnostic (2011). Ibrahim Maalouf releaseed album WIND in November 2012. It is a TOP5 time again. Mr. Smeđi Sećer is a funk DJ from Croatia. From 2008 – 2012 he hosted Radio show Smeđi Sećer on Radio Trsat. He hosted names like: Josipa Lisac, Ratko Divjak, Tamara Obrovac, Elvis Stanić, Bill Withers, Janko Nilović, Fred Wesley, Dr. Lonnie Smith, Soul Jazz Orchestra, Maurice Brown, Hugh Masakela. Together with legendary Croatian DJ JOP he organizes club nights called KopajOvo!. Kopaj OVO! is dedicated to organic rhythm that base on funk & hip hop. He played vinyl alongside (DJ Pips, Udo Brenner, Mr. 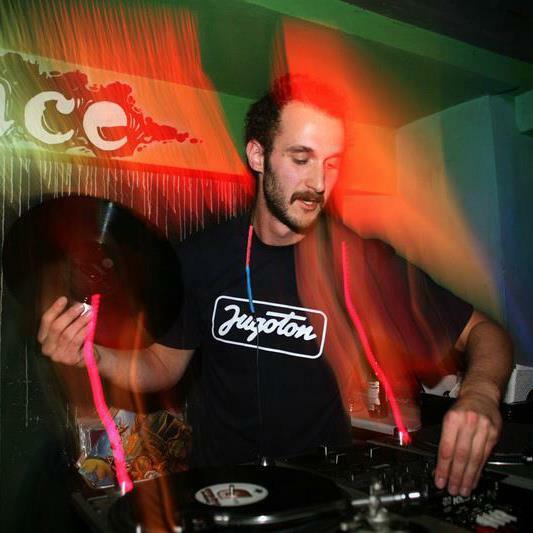 Dirty Hairy, DJ Woo-D, DJ Borka, DJ Bakto, DJ D-Gree, DJ Chile, DJ Funky Junkie) and he is a regular members of events called Zeleno Sonce @ Gala hala.